When water is healthy, our indigenous foods thrive and so do we. 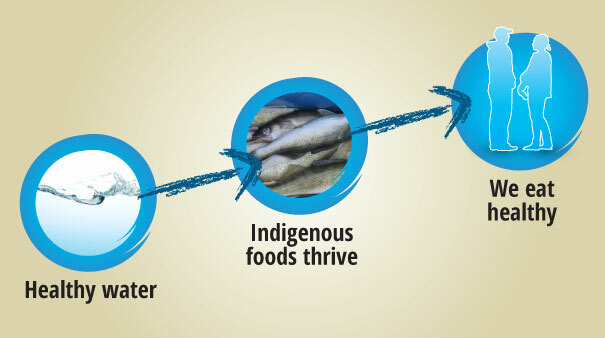 Healthy water is a must for indigenous food security. We have to live iff culture and show water some love to keep it healthy. Water I <3 U is all about working together to make it happen. The Center for Indigenous Environmental Resources (CIER) is working with 16 youth and their chaperones from 4 First Nations across Canada – one from each of the four major ocean drainage basins: Pacific, Arctic, Atlantic and Hudson Bay. Each First Nation is hosting our project group for week-long workshops to learn about water issues and opportunities, traditional teachings about water and leadership, and how to prepare for and deliver a important water action in their own communities to make a difference. Check out Workshops to see how youth from across Canada are leading the way.